This is a 1893 2-page ad for a Franco-American Soup and Blooker's Cocoa! The size of the ad is approximately 9.5x12.5inches. 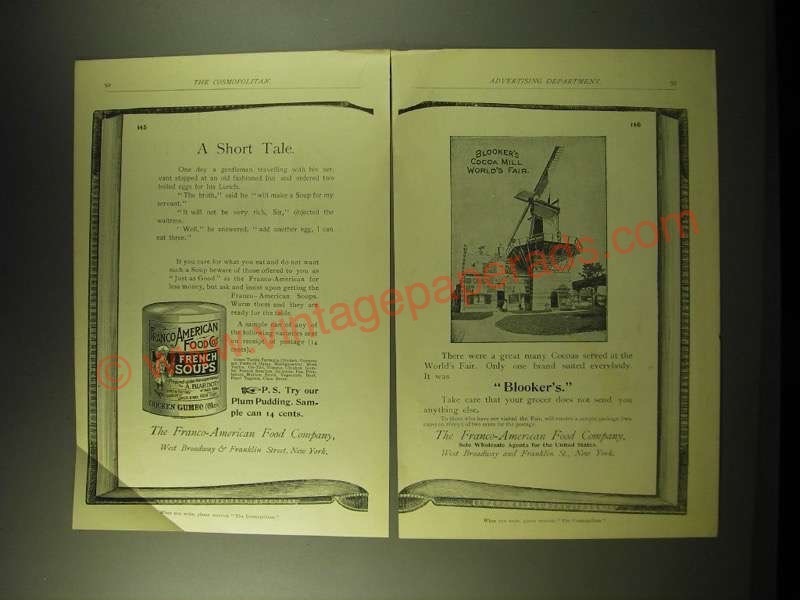 The caption for this ad is 'A short Tale' The ad is in good overall condition, with a light 2.5-inch crease in the lower left corner. This vintage ad would look great framed and displayed! Add it to your collection today!